With 18 duct burner installations De Jong Combustion contributed to Shell’s largest GTL plant in the world. Boiler manufacturer Nooter Eriksen S.R.L. 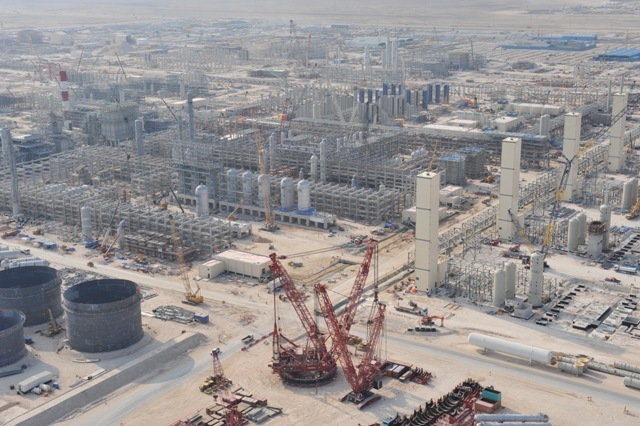 Pearl GTL is a gas to liquid (GTL) project based in Ras Laffan, Qatar. It will convert natural gas into liquid petroleum products. It is the largest GTL plant in the world. De Jong Combustion provided 18 duct burner installations. The GT fired HRSG’s and the FA fired HRSG’s are provided with two duct burners in series per HRSG. The duct burner systems are used for supplementary firing with natural gas and various types of HOG gas or a mixture of these gases.